Confirm THAT ‘transition’ with the discovery of headless human skeletal remains. BINGO!!! The Sassanids exhausted themselves fighting the Byzantines and were conquered by the Arabs in an astonishingly small period of time. The caliph who was running the Arab conquests at that time was also one of those rare geniuses from Moslem history; he planned the entire set of campaigns that conquered Iran, and never left his dining room. But it’s also true that the Byzantines had been getting the better of the Sassanids, and that kinda knees the groin of the “died in the plague” school of thought regarding the decline of the Byzantines. Had they joined forces, the Sassanids and Byzantines might have stopped the Muzzie cutthroats at some battle in Mesopotamia. They did not, or could not, and then it became a piecemeal conquest. While originally seeming successful at a first glance, the campaign of Khosrau II had actually exhausted the Persian army and Persian treasuries. In an effort to rebuild the national treasuries, Khosrau overtaxed the population. Thus, seeing the opportunity, Heraclius (610641) drew on all his diminished and devastated empire's remaining resources, reorganized his armies and mounted a remarkable counter-offensive. Between 622 and 627 he campaigned against the Persians in Anatolia and the Caucasus, winning a string of victories against Persian forces under Khosrau, Shahrbaraz, Shahin and Shahraplakan, sacking the great Zoroastrian temple at Ganzak and securing assistance from the Khazars and Western Turkic Khaganate. In 626, Constantinople was besieged by Slavic and Avar forces which were supported by a Persian army under Shahrbaraz on the far side of the Bosphorus, but attempts to ferry the Persians across were blocked by the Byzantine fleet and the siege ended in failure. In 627-628, Heraclius mounted a winter invasion of Mesopotamia and, despite the departure of his Khazar allies, defeated a Persian army commanded by Rhahzadh in the Battle of Nineveh. He then marched down the Tigris, devastating the country and sacking Khosrau's palace at Dastagerd. He was prevented from attacking Ctesiphon by the destruction of the bridges on the Nahrawan Canal and conducted further raids before withdrawing up the Diyala into north-western Iran. The impact of Heraclius's victories, the devastation of the richest territories of the Sassanid Empire, and the humiliating destruction of high-profile targets such as Ganzak and Dastagerd, fatally undermined Khosrau's prestige and his support among the Persian aristocracy. In early 628, he was overthrown and murdered by his son Kavadh II (628), who immediately brought an end to the war, agreeing to withdraw from all occupied territories. In 629, Heraclius restored the True Cross to Jerusalem in a majestic ceremony. Kavadh died within months, and chaos and civil war followed. Over a period of four years and five successive kings, including two daughters of Khosrau II and spahbod Shahrbaraz, the Sassanid Empire weakened considerably. The power of the central authority passed into the hands of the generals. It would take several years for a strong king to emerge from a series of coups, and the Sassanids never had time to recover fully. Heraclius' health was declining when the Arab invasion began so he couldn't lead the campaign or he might have whooped them too. These two enemies had been fighting for centuries and hated each other, but it is one of the interesting thought experiments in history to think what might have happened had the Byzantines and Sassanians joined forces against the Arabs. Islam would have remained a backwater religion restricted to the Arabian Peninsula. Instead, Islam remains a backwater religion. While this is true, I also think this is a rather one dimensional and simplistic view of how & why the Bedouin Arabs defeated the Sassanids. There were definitely other important contributing factors to the fall of the Sassanid Empire. Also see Customer Reviews in the above link. P.S.  I often read and hear about how Arabs contributed so much to Islamic Architecture, literature, poetry, paintings and generally what has been coined as the Islamic Civilization particularly in the middle ages in the ME and North Africa (even in Southern Spain for instances). This view is often highly distorted, misrepresented and inaccurate. Persians, Egyptians and North Africans (Carthagians i.e. current Tunisians) all had cultured and civilized pre-Islamic pasts. When the mentioned nations, particularly Iranians, were militarily defeated and, in many instances, forcibly converted to Islam, they brought in cultured traits and a tradition of learning into Islam. In fact, the first codified grammar of Arabic was written by a Persian. The Arabs were unlettered, Mohammed himself was completely illiterate, in addition to being cruel, cunning and ruthless. Therefore, the much vaunted Islamic Renaissance & Golden Age was, in essence, a renaissance of the Persian (Zoroastrian) converts to Islam beginning during the second Arab rulers of Iran [Abbasiad Caliphate]. During the first four caliphs Abba (Abu) Bakr, Umar, Uthman and Ali (the last three who were murdered by other Muslims in cold blood) and the Ummayad caliphate (the first Arab rulers of Iran) at Damascus and Iraq, there was no such thing as the Islamic Renaissance. It was the Persians, North African and Egyptian converts who had a pre-Islamic legacy of being civilized, which they carried forward after being converted to Islam. In fact, Islam attempted to smother all pre-Islamic legacy of culture and civilization, and so it was only after the initial flush of Islamic savagery had passed over, that the newly converted people could - after a generation or so - pick up the threads of a civilized life. Enjoyed reading the PS comments.. spot on! Now, would you mind passing this detailed account to the man in the WhiteHouse? Remind him too, Islam/muslims only came into being after 632AD(death of their so called messenger)& when Arabs and Islam swept through the Middle East in 630 A.D., they encountered 600 years of Assyrian Christian civilization, with a rich heritage, a highly developed culture, and advanced learning institutions. It is this civilization that became the foundation of the Arab civilization. Secondly... once the Christian Assyrian & other communities were drained of its population through forced conversion to Islam, the communities dwindled below a critical threshold, it ceased producing the scholars that were the intellectual driving force of the Islamic civilization, and that is when the so called Golden Age of Islam came to an end (about 850 A.D.). Since this time, the islamic civilization had produced nothing great by itself.
. As an optimist, I’d like to believe he is extremely misinformed - alternatively, he is selling a political package to certain audiences. Also, just to share something with you from my personal childhood experience and observation in Iran during the latter days of the Shah’s government - regarding the Assyrian community (in Iran) - I do remember that many Iranian-Zoroastrians (and those from the Parsi community in Iran who had moved to Iran) felt more, culturally, comfortable with the Iranian Assyrians and/or Armenians than with many Muslims. I don’t mean this as disrespect or a bias towards the Muslims born Iranians at the time; after all many were/are just muslim born and simply accepted being “Moslems” even if they didn’t practice or believe in it. The Moslem/Islam type of issues that we are now facing often didn’t exist or were significantly toned down in those days. The Parsi Zoroastrian Community is known to traditionally reside in India. Although many moved back to Iran during the Pahlavi Dynasty. Apparently the Koran was actually written by a Persian! I have notes on this somewhere but the basis is that in those days there were no copyright laws or registration and to protect or prove their writing, authors inserted secret codes into the texts. If someone else tried to claim a work, the real author could then ask them to provide the secret code that was HANDWRITTEN or painted into it. (No photocopying in those days) so the false claimant could not identify the code whereas the real author could. The earliest Koranic text has such a code and it belongs to an Iranian whose name if memory serves was “something” the Iranian (Irani). Another pointer is that the Koranic references of beautiful places, beautiful women and so forth were references to Iranian places and people. I am not sure where I put the folder with the notes but it is on hand if I really search for it. You could always do a google search in the subject. It must exist out there. It is possible. But, am unsure to which timeline/century you are referring. Apparently, it is also said that there have been a number of different versions of the Koran, written in different ancient languages. Also, the Koran was written in Perso-Arabic in Iran during the Safavid Dynasty in the 15th and 16th centuries, when the ruling Safavid Dynasty brutally enforced their version of Shia Islam on Iranians. The other issue is about much of the content of the Koran, the hadiths, and generally what are believed to Islamic principles and practices. I suspect these were heavily influenced by preceding religions, including Zoroastrianism, Judaism, and Christianity. Then again, initially for Islam, later over the centuries were adjusted and often distorted to suit the audience and culture of the Bedouin Arabs of the 7th century Arabia, in order to bring about a strict structure, and control over their behavior by using religion as a pretext for the imposition of a set of acceptable rules and regulations. Not that the same can not be said, for instance, for post-Zoroaster and Jesus, in terms of Zoroastrianism & Christianity. This is a huge topic. A few paragraphs wont do it justice, imo. Just to give you some examples for Zoroastrianism and Christianity, in relation to Islam, my suggestion would be to read the Zoroastrian Venidads of the NON-GATHIC AVESTA (for its influence on Sharia Laws of Islam. But, also note, how the original teachings/practices were distorted and misrepresented in Islam). And, ArdaViraf Nameh (for how it influenced the Hadiths in Islam). - The Prayer Times and the Ablutions in Islam are Zoroastrian practices. - Kosher and Halal foods in Judaism and Islam. Sharia Laws are similar to Jewish Halakhic law. - The color Green which many attribute to Islam (main color of Saudi Arabian Flag) or Shia Islam in Iran. The color of Islam is Black. Green (the color of new life is used for the Navjote/sedreh pushi cap and calls upon nature to give its blessings to the child), along with White (for purity and worn as shirts during conversion or confirmation/baptism to Zoroastrian faith), traditionally, are sacred colors for Zoroastrians. Note: Pir-e-Sabz (Sabz means Green) in Yazd Province in Iran, as another example. - There are 72 verses in Yasna in Zoroastrian Gathic-Avesta teachings nothing to do with 72 virgins in Islam. Mohammad travelled widely in the Middle East and picked up a lot of sectarian information, plus among his companions he had, at least, one priest, a Rabbi and a Mazdaki, self interested, and ambitious Persian traitor (Salman Al Farsi). Salman Al Farsi is credited for helping Muslim-Arabs in their invasion of Iran in the 7th century & actually fought against his own Iranian countrymen, on the side of the Muslim-Arabs. As it appears, the Koran, Hadiths, Sharia Laws, and Mohammad did not have much original content, positive or of Spiritual value to offer or add. However, much was distorted and basically bastardized to suit the social, economic, religious and political purposes/needs of, initially, the Arab tribes and, later on, Others. Forgot to add in Post #15 regarding “Pir-e-Sabz” in Yazd Province of Iran. 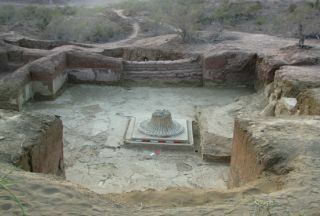 There is a significant and a very ancient Zoroastrian “Fire-Temple” located there, which to date draws many Zoroastrians from all over the world for remembrance of their history in Iran.